YOHJI YAMAMOTO is one of the most renowned names in the international design scene, while the unique philosophy and signature style of the man behind the eponymous brand are the stuff of legend. Over the years, the Japanese fashion designer, who would much rather refer to himself as a “tailor,” has earned some of the most coveted design awards around the world. 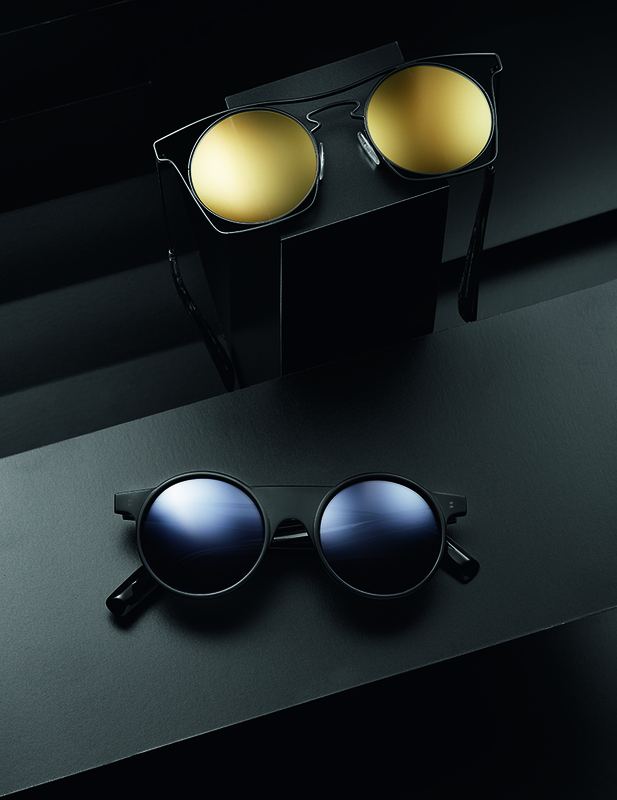 Next to designer fashion pieces, YOHJI YAMAMOTO has also been releasing its own branded eyewear for the past two years. And true to the label’s strong heritage, the glasses and sunglasses live up to the highest quality standards in order to earn the YY name. 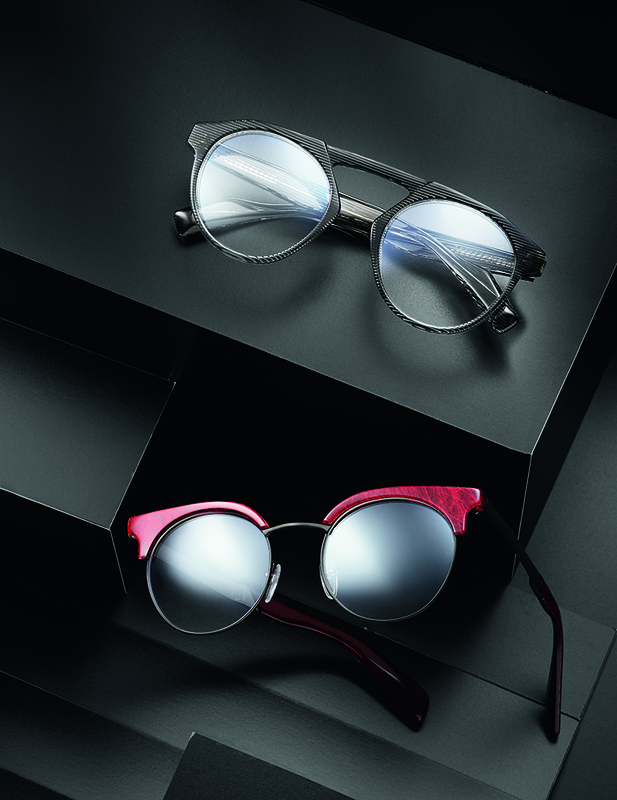 After such a short period hardly any other fashion label out there has made the leap from haute couture into designer eyewear as gracefully as YOHJI YAMAMOTO. 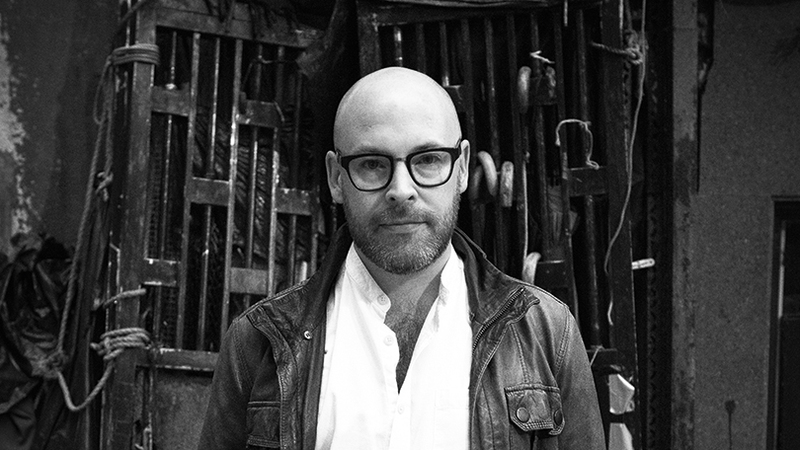 In search of the secret behind the success, EYEWEAR talked to the man in charge of eyewear design for YY, Mr. Sam Craig, Creative Director at Mondottica. The YY eyewear collection is available through Brando, the luxury division of Mondottica.The YY eyewear collection is available through Brando, Mondottica luxury division. Prepare to be inspired. Hi Sam, to be in charge of the eyewear design for a label like YOHJI YAMAMOTO must be an accolade for every designer, isn’t it? Yes! I was in Tokyo in September and visited his Omotesando flagship store. It was one of those ‘pinch me’ moments to see our collaboration on full display, and to hear many of the most extreme pieces had sold out. It was an amazing confirmation that if you are brave enough to create something special, there are people that understand what you are striving to achieve. Yamamoto is one of the great designers of our time; it is an honour to work with him and his team. He is a true polymath; a designer, a musician, an artist, a poet, a philosopher, and a rock star. He really is as close to genius as I have ever had the fortune to meet. As a designer, projects such as this are infrequent and I am aware of this. I have the chance to remove boundaries, to work on theory, to realise not only avant-garde designs but to go against the grain. Actually, YY is best known as a designer fashion label. What would you say are the philosophy and the key design elements? Yamamoto often refers to fabric as his source of inspiration, he believes the material speaks to you – if you bother to listen. There is something timeless about his designs, they seem to almost transcend time. For the uninitiated, it is hard to look at his retrospective and put any sort of decade to it. He avoids using the word ‘fashion’ as it implies faddishness. One of my favourite quotes from the master is “With my eyes turned to the past I walk backwards into the future.” To me this best sums up how his designs appear – neither retrospective nor futuristic. He is a lover of women; their form, their beauty and he often talks of designing clothes back to front. He talks of the back being more important than the front. That clothes are held by the shoulders and the back. This is typical Yamamoto. A philosophical approach to design, art is what sets him apart. He is however probably most famous for his use of the color black. “Black is modest and arrogant at the same time. Black is lazy and easy– but mysterious.” But his blacks are often not black at all. He showed me some military-inspired trousers and asked what color I thought they were. “Black?” I naively replied. “No, they are green on green on green. That makes them more than black,” he replied. How do you transfer this unique design philosophy into eyewear collections? At the start of the collaboration we were given a three-word brief: “avant-garde, dramatic and/or intelligent.” We exclusively developed the acetate with Eleanor Mazzucchelli. We talked about making colors that were more than black, creating the darkest shades of material possible, how to make them deep, yet distinct, by using more pigment to create an unusual depth. Deconstruction and reconstruction are major themes in the collection. Frames are cut in two and put back together. Traditional shapes are disassembled into pieces and put back together in a non-conformist way. Round eye-shapes are punched out of traditional silhouettes; lens shapes are capped off with acetates. The inside of the frames became as important as the outside, the fit had to feel like Yamamoto’s clothes; like you had owned a pair of the eyewear for years, as if it had been uniquely fitted to you. We hope we captured the avant-garde aesthetic here too, by creating forms that are challenging and unique. There is nothing commercially focused about the collection. In terms of the design process, do you work hand-in-hand with Yamamoto-san or rather autonomously? We are lucky enough to get time with him directly. We also work in depth with his design team in Tokyo. We work with the latest fabric swatches, color palettes and design concepts to ensure we are completely in tune with their next collections. Do you have an example of developing a design from start to finish? We start with a design philosophy, typically a singular concept that runs through the entire body of work. We then move to developing materials even before we know what the frames are going to look like, this draws from the swatches sent to us, mood boards and any research we have completed. We then start with a blank piece of paper and sketch. Using ones hands is such an important principle. I believe drawing directly into a computer somehow never quite captures the details of the human touch. Not yet. Has the brand philosophy behind YY changed since the beginning until today? Not at all, as Yamamoto has not changed his unique approach in decades. What’s special about the new YY collection? What’s the unique feature? We have introduced an incredible matte lens. The unique technology diffuses reflecting light, which is also given an extra matte effect by an anti-reflective coating to the inside on the lens. During wear, there is no loss of optical clarity and aside from the beautiful aesthetic, the lens also gives a wonderful calming effect to the eye. We wanted to create the ultimate matte frames and it always bothered me that the lenses seemed to detract from this look, these new lenses complete this quest. The matte gold lens is simply abyss-like. Drawing from the Japanese design philosophy ‘Wabi Sabi,’ which celebrates imperfection and nature, we have developed our ‘dirty’ gold metallic finish. It is both old and new at the same time, as if the metal has been left to evolve in the hands of nature. What’s the difference between the current and the next collection? We went heavier into metal designs and the balance of the collection reflects this. We wanted to create a new way of looking at metals, making them thin, light, yet strong in look. They are extremely challenging from a production aspect, yet their appearance is deceptively simplistic. Aside from metals, where did you get the inspiration for the new collection? 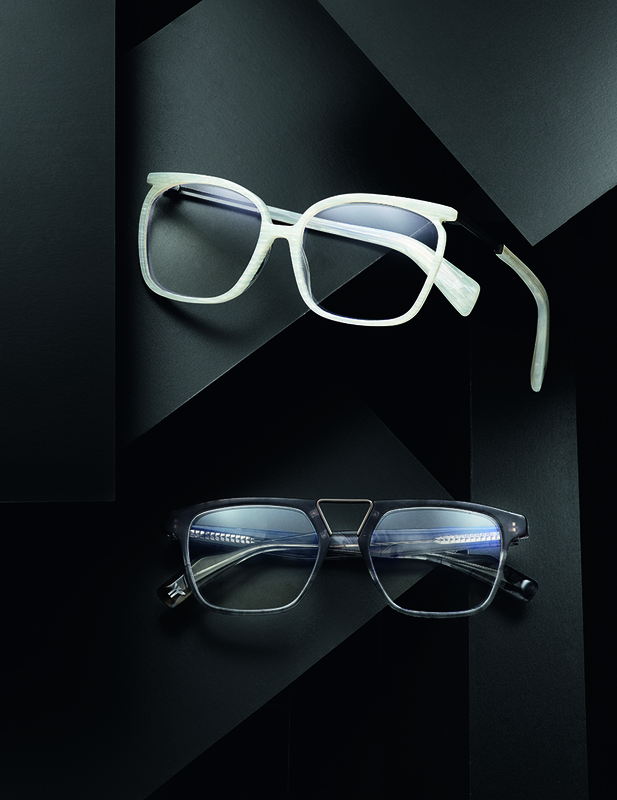 Inspired by his recognizable hand-written logo, the new sunglasses are a celebration of Yamamoto’s mastery in design. The frame is the result of the sinuous movement of the pencil on paper that dances, mastering a precise technique where the nib never leaves the surface. The entire collection is an exploration of the round eye shape, traditional forms are brought into the future by punching out circles and exploring deconstruction. How many styles do you have in the new collection? 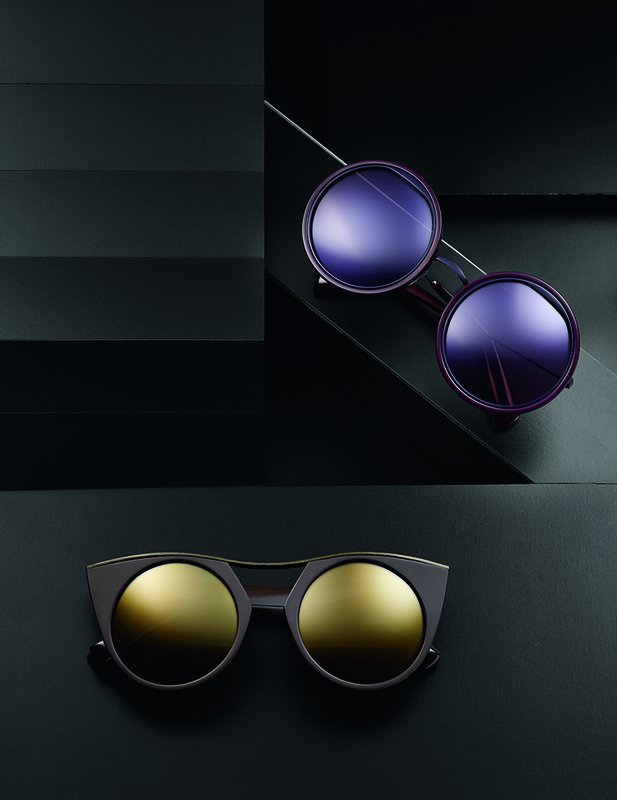 The new sunglasses collection is made up of ten models, while the optical will introduce twelve new styles. Each are available in three to four colors. What are special technical features in the new collection? With bespoke acetates developed exclusively with Mazzucchelli, the new acetate palette mimics his exceptional hand made Japanese fabrics. Here lace is interwoven with blacks and golds from which the acetate takes direct inspiration. That’s because it is. When a frame is deconstructed, to reunite the two parts is essentially a surgical procedure. Each separated element had to be perfectly fitted back to the other, to replenish strength, to patch up the incisions, to create a new form. Achieving this requires an incredible attention to detail where metal meets acetate, where surfaces bond together for the first time. In this collection check we show your favorite optical frames and sunglasses. What do you like most about these styles?